If you are a tailor, then you probably know interfacing on your clothes. Interfacing help make fabrics stiffer or keep them shapes. For example, interfacing is used in shirt collars, keeps fabrics from stretching out of shape, and help strengthen the area of the fabric. Generally, interfacing is white, and we could choose the available colors to match our clothes or garments. In addition to kinds of colors, interfacing comes in three kinds of weights or thicknesses, here are lightweight, medium weight and heavy weight. You either have to sew interfacing to the fabric or you can use fusible interfacing. 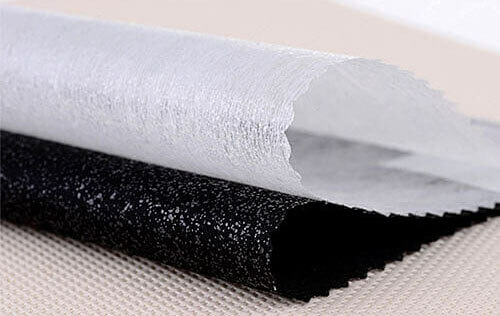 Fusible interfacing is a fabric used for interfacing, and one of sides is adhesive. Though sometimes it is on both sides, the fusible interfacing which contain both sides adhesive always called double sided fusible interfacing. PS: Reflective side(black) is adhesive. 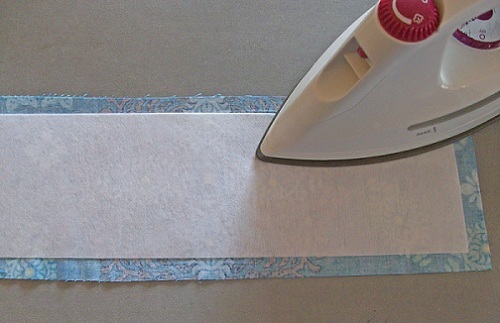 Instead of sewing the interfacing between the layers of fabric or along a hem, you apply it using the heat of an iron. The heat from the iron activates the adhesive and bonds the interfacing to the fabric. 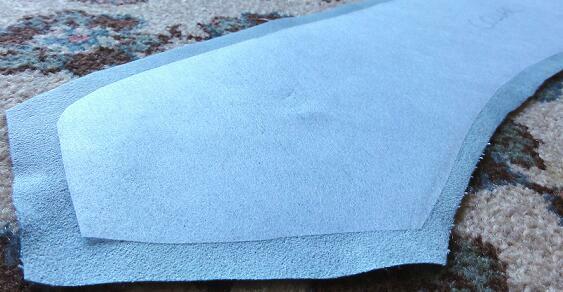 Using pressure helps seal the interfacing to the fabric, as well. You can sew on fusible interfacing as well as use heat to apply it to fabric. Iron adhesive and bonds the interfacing to the fabric.